Hire V.I.P. CEO William Bowman to motivate your employees or students. Learn more about the V.I.P. Organization by watching a video interview done on Alabama Public Television's For the Record: Face to Face. V.I.P. stands for visually impaired people who are VERY IMPORTANT PEOPLE. We want to provide low vision community education, assistive technology, support and mentoring. Take a look at the New Generation Video Magnifier VD700. ●Enhanced Vision, I-LOVIEW, Freedom Scientific. For more information, visit http://www.ivision-technology.com/en/. 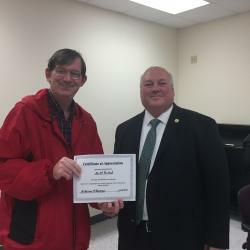 Ed Packard, Administrator of Elections in the State of Alabama, spoke at the December VIP Support Group meeting. The purpose of the meeting was to explain voting rights for people with disabilities and visual impairments. V.I.P. 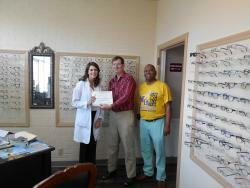 and Primary Eyecare Center of Selma, Alabama hosts a free vision screening for Glaucoma. In 2 hours 15 individuals were screened. Some of them were treated and will have t have a follow up visit. Due to elevated eye pressure. Glaucoma is the leading cause of blindness and if no treated blindness can occur. VIP CEO William Bowman appears on Alabama News Network to discuss free vision screenings for glaucoma awareness. 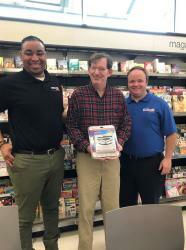 VIP CEO William Bowman met WSFA 12 News meteorologists in Selma, AL while they were there promoting the importance of weather radios. Chief Meteorologist Josh Johnson and Bowman believe that we all need a good weather radio. 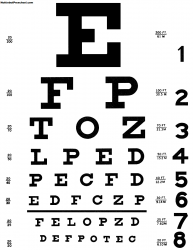 People with low vision and the hard of hearing really need to get one. Get your weather radios at your local Walgreens and Walmart. Primary Eyecare Center and V.I.P. Organization Inc. will co-sponsor a free vision eye screening for glaucoma held on Thursday, February 22, 2018, from noon to 2pm. The event will be at Primary Eyecare Center, located at 801 Dallas Avenue in Selma. If you have any questions about the eye screenings, please call Primary Eyecare Center at 334-874-7024, or for questions about V.I.P. give William H.
Check out Zoomax New Product Snow 10 Pro! 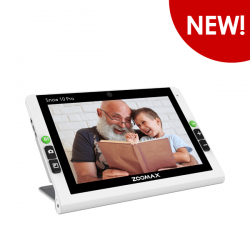 As a perfect combination of a reader, a mirror and a music player, Zoomax Snow 10 Pro is a 10″ video magnifier for visually impaired people to read more, see more and enjoy more. It's not only a portable handheld video magnifier with a bigger screen, but a brand-new assistant providing unique and practical aids to improve independence in your daily activities. Help V.I.P. help the visually impaired in the community. Consider making a donation. No amount is too small. Selma Times-Journal: "Organization partners with schools to discuss impact of bullying"